It’s time that you provided your transmission line ventures in New Jersey with the expedited procedures they deserve. In an industry where saved time is saved expenses, the vertical element that a helicopter alone can provide you is not to be undervalued. 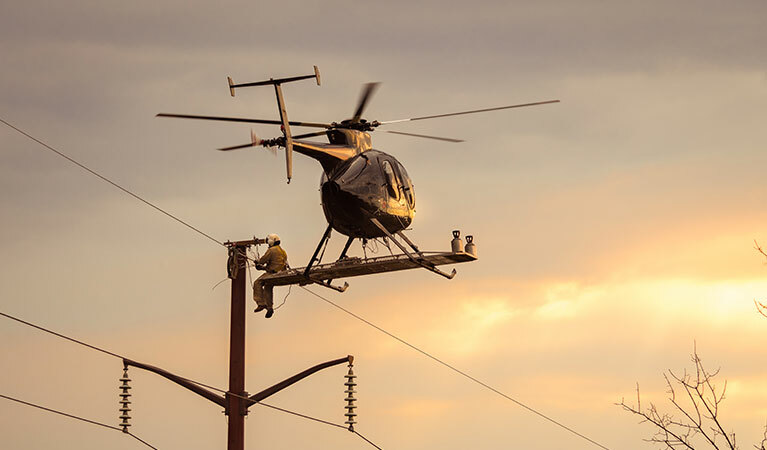 Helicopters can effectively upgrade your capacity with regard to transmission line capabilities, for easy installation techniques, logistical transportation, and more. Continuously trained pilots, together with certified flight crews and maintenance teams, ensure operational safety each time an affiliated helicopter takes to the skies. Safety and security remain the lasting priority. In the Garden State as in any other, increased efficiency equates to increased revenue. A transmission line industry enjoying recent success more than warrants the introduction of a helicopter. Dedicated helicopter pilots routinely take to east coast skies in New Jersey, providing unrivaled support for transmission line operations. The oldest transmission line provider in New Jersey, PSE&G, provides roughly 1,400 miles of transmission line. This proves one of many active and prospective transmission line ventures in New Jersey, a state that has seen population increases and with them the need for effective power. 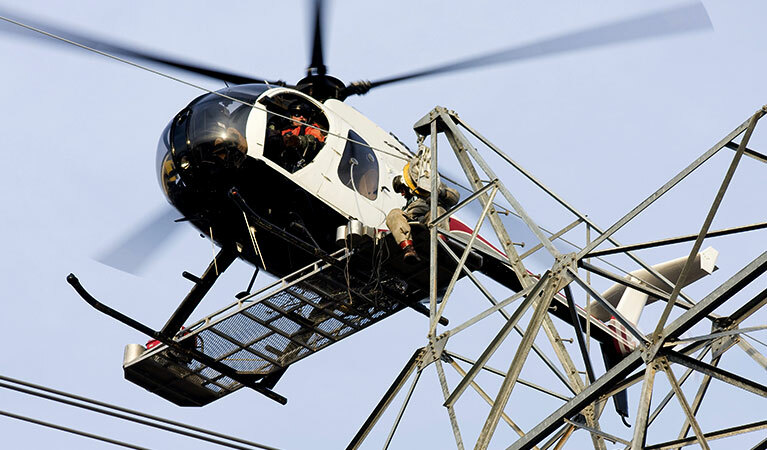 The many advantages of helicopter-assisted transmission line construction include a wide range of possible services. From external load and heavy lift provisions to the stringing of wire, FairLifts associated helicopter providers get it all done. FairLifts can also provide logistical transport of entire work crews to various offshore or distant destinations, together with assorted lift equipment and the necessary supplies. No matter the size or the overall contour of the load itself, trust a helicopter to make quick work of the job. At any transmission line construction site, a helicopter is a staple when it comes to external load movement and heavy lifting alike, effectively expediting all your cargo efforts. Helicopters allow you to string wire from one destination to the next with unrivaled ease. No matter the distance between one pole and the next, and no matter the obstacles between wire fixtures, a helicopter adds the aerial element you need to make the most challenging wire stringing routine. Install utility poles with unrivaled ease, when you add the vertical concept to the complete extent of your operations. Utility poles, despite the unique shape, are installed simply and effectively from the skies, by certified pilots. Easy installations are a cinch from the skies, courtesy of helicopter-assisted maneuverability tactics. ROW and site inspection procedures are made all but effortless when exacted by helicopter. Whether you’re showing the site itself to new hires or other workers, or simply performing a holistic survey of the landscapes, site inspections by helicopter allow you to see the complete extent of the location itself. Transportation from one location to the next is easier than ever, when completed by air. Helicopters allow transmission line operators the freedom to move cargo from one location to the next. You can also move workers and other assorted supplies with ease, to optimize individual locations of your work site easily. A helicopter enhances your New Jersey transmission line procedures. Available every hour of every day, our customer service agents can answer all your inquiries regarding transmission line constructions by helicopter. Call to satisfy all outstanding questions, or to book a package today! Or, complete an online contact form, and expect a timely response within 24 hours.